Via Entertainment Weekly: Fire up that pizza oven — Mystic Pizza is getting the stage musical treatment. 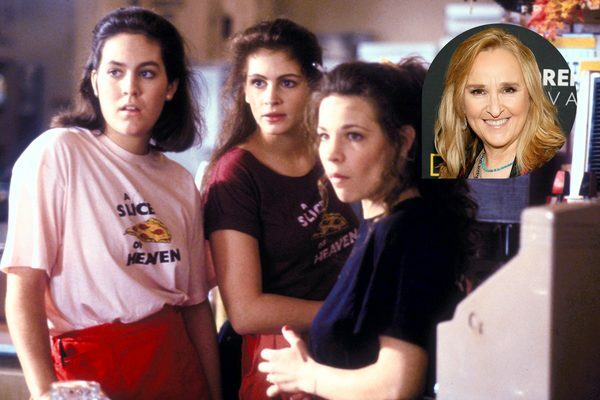 On Tuesday, Lively McCabe Entertainment announced it is developing a musical stage adaptation of the 1988 romantic comedy Mystic Pizza. Gordon Greenberg (Irving Berlin’s Holiday Inn) and Sas Goldberg (Significant Other) will pen the book, based on Amy Holden Jones’ story and characters. The musical, the latest in a list of stage adaptations based on beloved movie properties, will also boast some serious musical credentials with Oscar and Grammy winning artist Melissa Etheridge attached to provide the music and lyrics. Greenberg will also direct. The 1988 cult classic launched the careers of movie stars Julia Roberts and Matt Damon. It follows three young women’s coming-of-age as they work as waitresses in a local pizza parlor in Mystic, Connecticut. The women struggle to define themselves beyond their families and love interests as they grapple with a local class structure that divides the immigrant working class from the country club set. Further production plans and additional members of the creative team, including cast, are still to be announced.